Style: FS101029 Howzit! Inspired by classic Hawaiian shirts our Aloha series brings a slice of vintage paradise to your wrist, minus the grandpa on shore leave vibe. 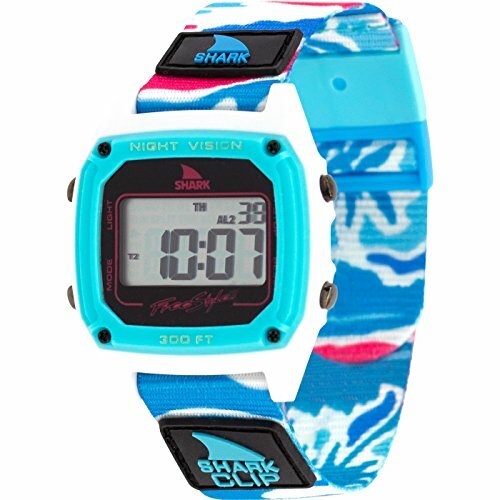 Bursting with tropical patterns, prints, and colors, this limited edition Shark series is the must have summer accessory. But like summer these styles won't be around forever, so get 'em while you can. Beach time starts now, shoots brah! If you have any questions about this product by Freestyle, contact us by completing and submitting the form below. If you are looking for a specif part number, please include it with your message.